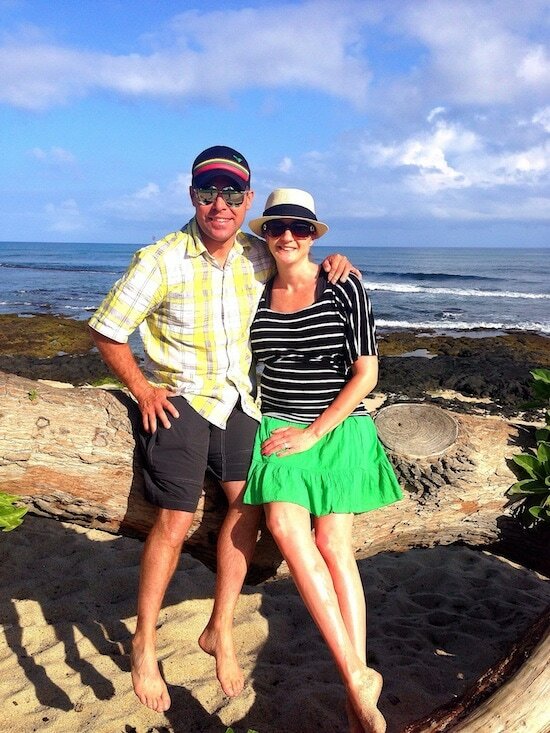 Last week Josh and I went on a babymoon to Hawaii. 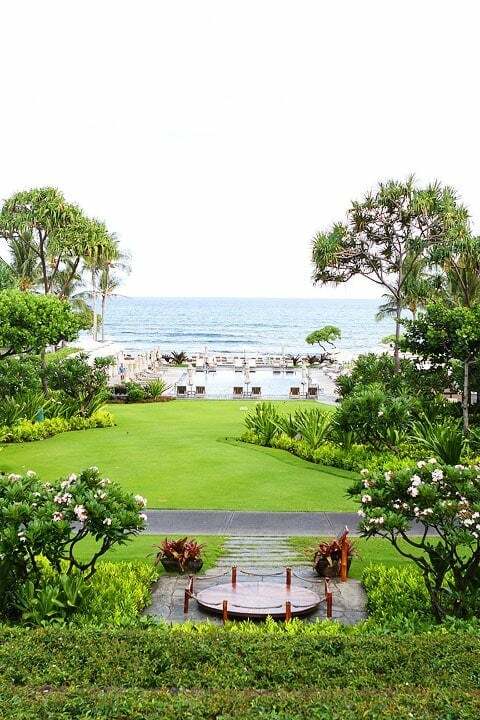 We stayed at the Four Seasons Resort Hualālai, which is located on the Kona-Kohala Coast on the Big Island. This was our first time going on vacation without Caleb, so we were a little nervous and sad, but we knew he would have a good time with Papa. 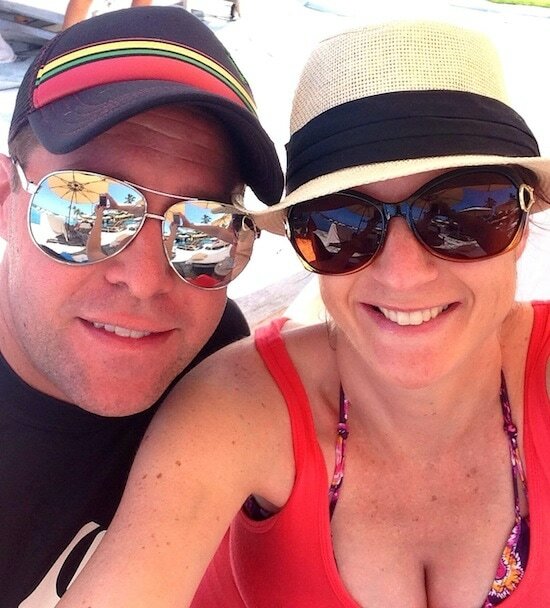 And we both needed a relaxing vacation before our baby arrives in August. 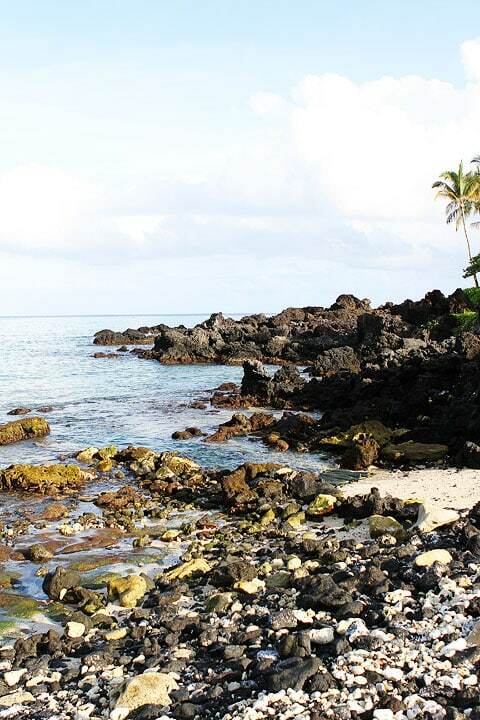 We went to Maui last year and fell in love with Hawaii. We were excited to experience the Big Island this time. We flew into Oahu and then took a little plane to the Big Island. The Four Seasons picked us up from the airport and drove us to the resort, which was only a 15 minute drive. When we arrived we were greeted by the Four Seasons staff. They gave us Hawaiian leis and fresh juice. They also gave us a golf cart tour of the property. We immediately felt like we were in paradise! 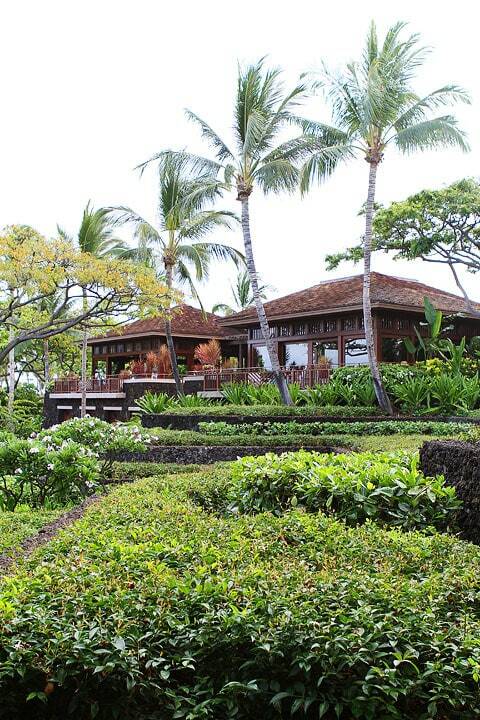 The resort is a mix of white sandy beaches, black lava landscapes, large ponds, golf course, and lush green foliage. I loved all of the pretty flowers! When we arrived to our room we were welcomed with goodies! Look at the cute peas! And the pineapple was the BEST! I am normally allergic to pineapple, but not when I am pregnant. I know, weird, but I am glad because I ate my weight in pineapple. It was SO good! We had a large king bed, living room, one full granite bathroom with a large soaking tub, and a guest powder room. Our room was perfect! We also had a large balcony that overlooked the golf course and had a nice ocean view! Every morning we ate breakfast at the resort. 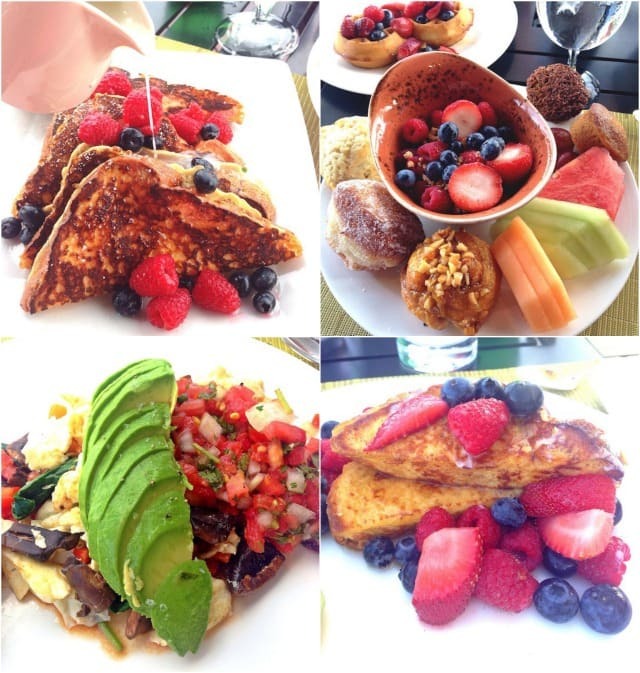 ‘ULU Ocean Grill has an amazing breakfast buffet. I am normally not a fan of buffets, but ‘ULU’s breakfast buffet is unlike any other buffet we have experienced. Everything was super fresh and the options were endless! They had a great selection of fresh fruit, breakfast meats, cereals, oatmeal, housemade pastries, made to order omelets, eggs, and waffles. They also offer daily specials. The Macadamia Nut Ginger French Toast was out of this world! I loved the coconut syrup too! And they have the best homemade granola. I couldn’t get enough! Chef Dan also makes the best eggs! Josh and I ordered eggs from him every morning and he never missed a beat. The egg white scramble with veggies, fresh salsa, and avocado was a winner! Josh loved the malasadas. They were fresh every morning! And they even have an entire gluten-free section! 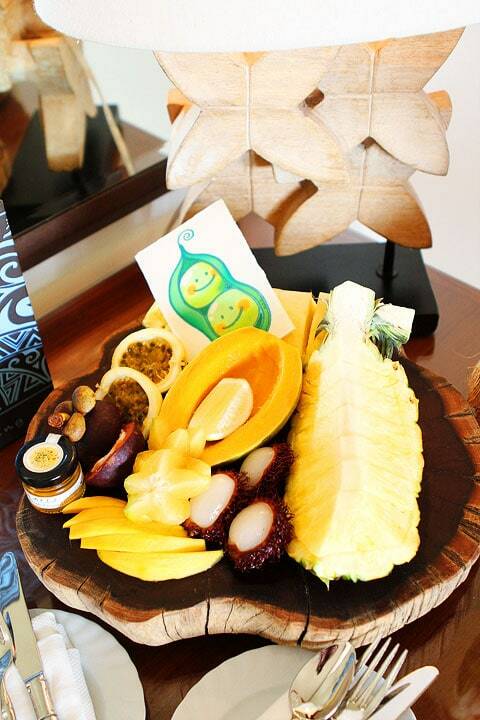 We loved starting our days at ‘ULU! We spent a lot of time by the pools. The resort has seven pools so you can’t get bored. We went pool hopping every day. I loved the Palm Grove Pool. It has a swim-up bar and herb gardens. It also has an incredible view of the ocean. Another favorite was the Beach Tree Pool. We loved lounging by the pool in our own shaded hut. It was the perfect spot for reading my book! We were also spoiled with complimentary smoothies! 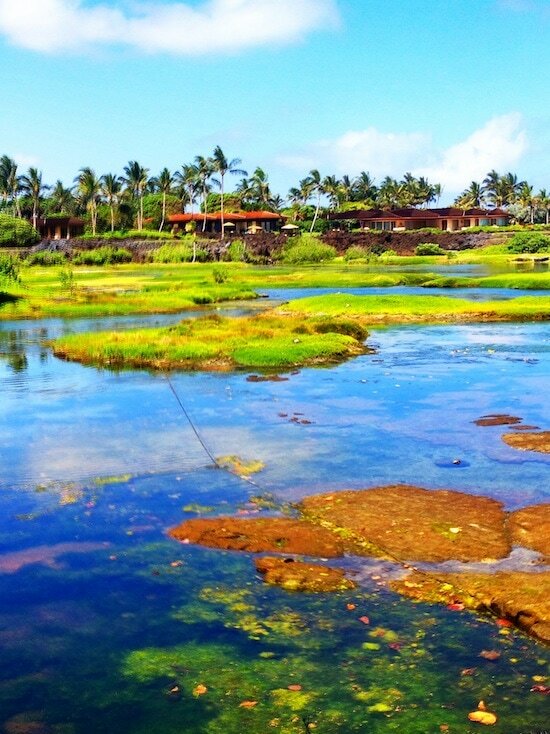 We also spent some time at King’s Pond, a 1.8-million gallon “aquarium” carved out of natural lava rock. 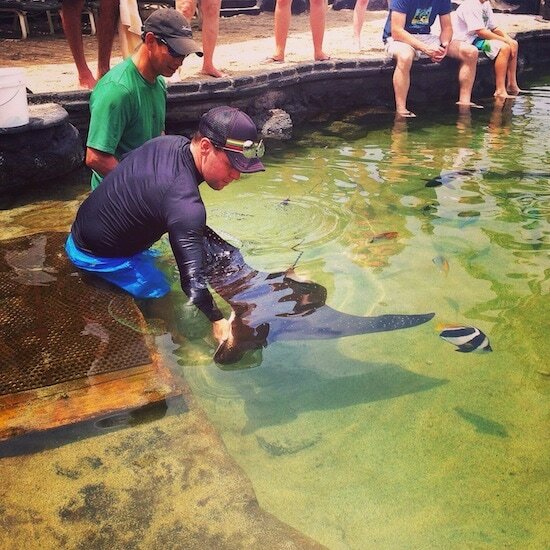 You can snorkel in the pond and Josh also got to feed the eagle ray! We ate dinner at Beach Tree one night. We had a great view of the ocean and enjoyed live music. The gnocchi dish on the menu wasn’t vegetarian, but I was craving gnocchi so the chef let me create my own vegetarian dish! I love that the resort was so accommodating! 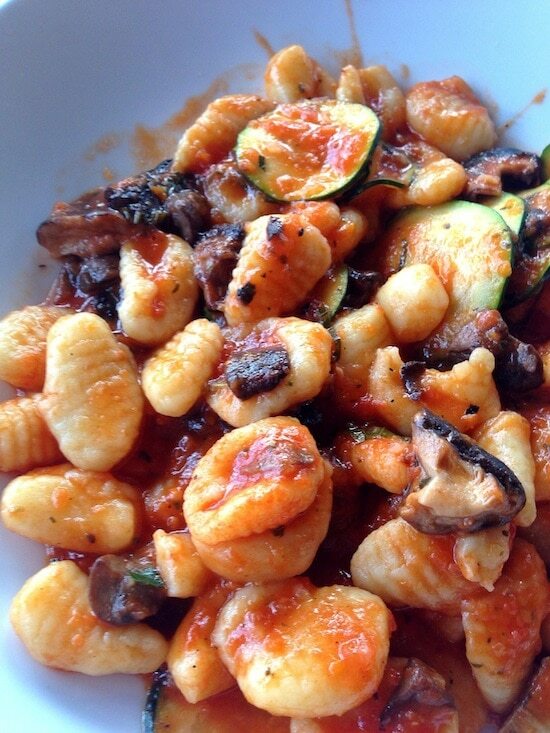 The gnocchi with marinara and fresh vegetables was fantastic! Josh ordered the burger and ate every single bite. He loved the brioche bun! 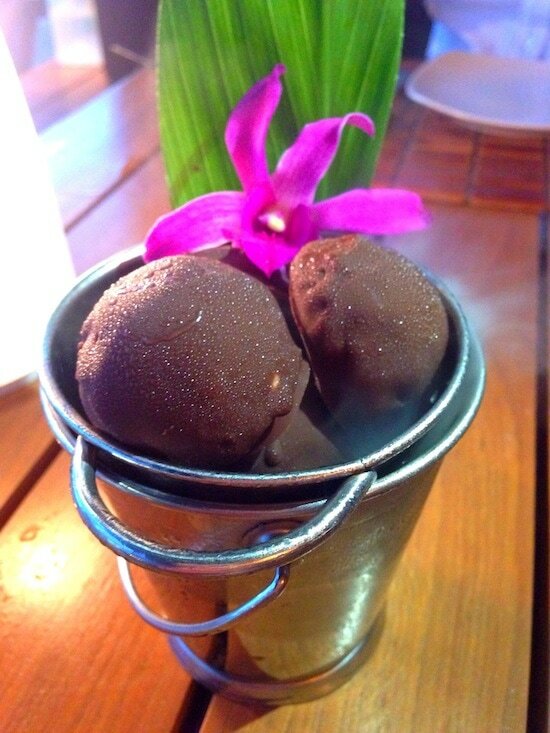 For dessert, we shared the chocolate bon bons that were filled with Tahitian vanilla bean ice cream! I loved the presentation and the bon bons were divine! 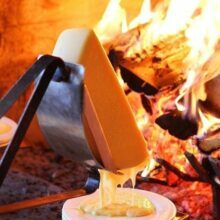 The perfect ending to our meal! The beach was peaceful and we saw dolphins swimming a few times! 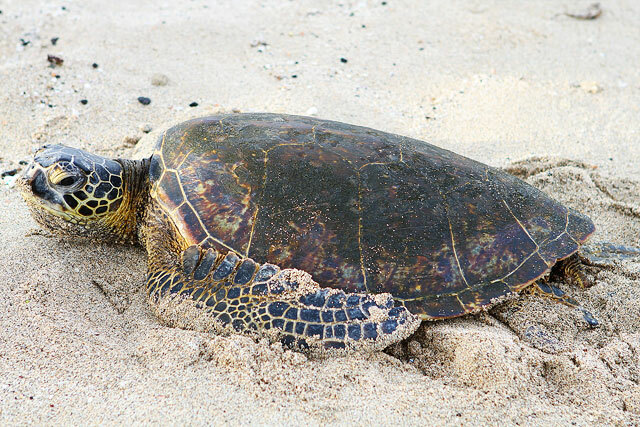 We also spotted several turtles! They were my favorite! 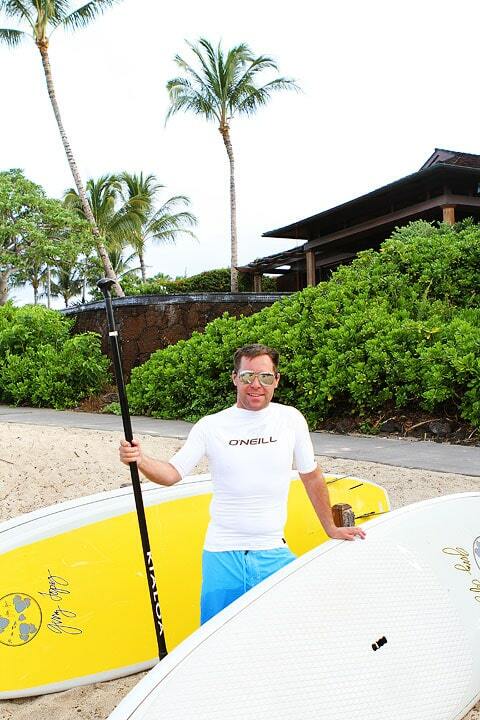 Josh went paddle boarding in the ocean and loved it! A few times the waves were bigger than him and it was tricky, but he learned to go early in the morning when the water was smooth. 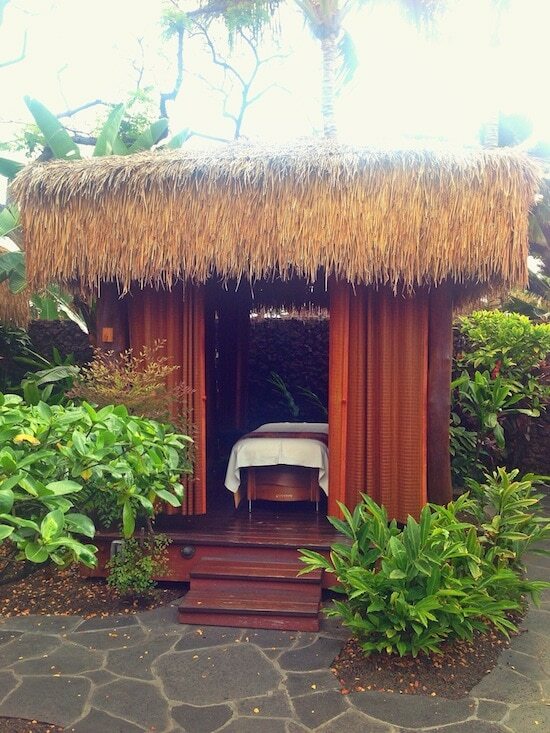 I was spoiled with a pregnancy massage at the Hualalai Spa. I had my own private hut! After my massage, the staff brought me special treats and juice while I sat by a waterfall and relaxed. It was such a treat, just what this mama needed. We loved watching the sunset from our balcony! We had a great view! We also ate dinner at ‘ULU Ocean Grill. His and Hers dinners:) Josh loved the spicy pork ramen and prime rib! 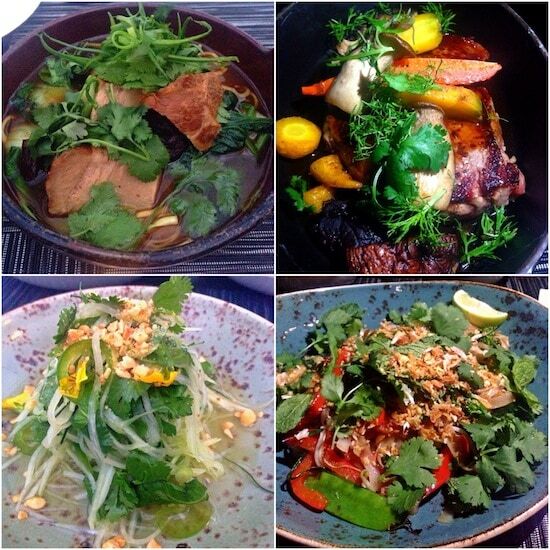 I enjoyed the green papaya salad and veggie pad thai! 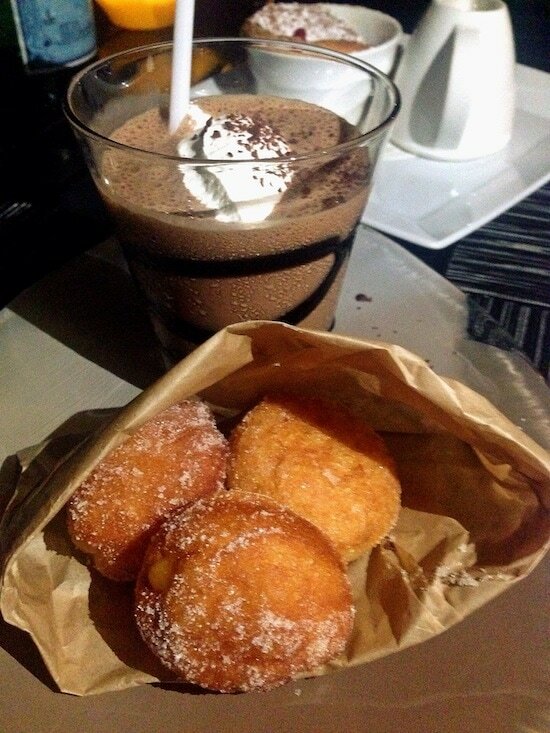 For dessert, we indulged and had the malasadas with passion fruit cream and a chocolate milkshake on the side. They know how to do dessert! Josh went snorkeling every day in the ocean while I relaxed by the pool. On the last day, he convinced me to go with him and I am SO glad I did. It was the coolest thing I have ever done! 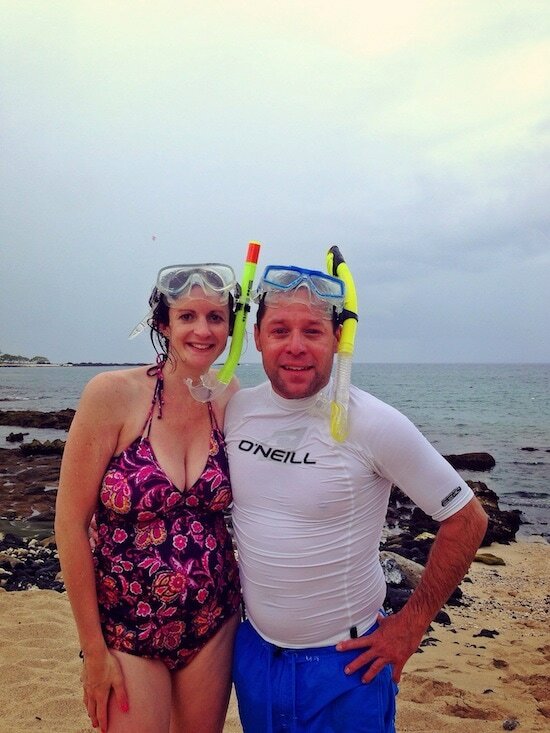 We swam with turtles, lots of fish, and we even saw an eagle ray! We loved every second of our babymoon! The resort was so amazing we didn’t even leave the property! We’ve been on a lot of vacations, but this one was our favorite…except we missed our Caleb. Next time, we are going to take our boys. They have a lot of fun stuff for the kiddos to do too! We can’t wait to go back! Thanks Four Seasons Resort Hualālai for the perfect babymoon! This is an amazing resort! Hawaii is so gorgeous. A beautiful place love the sunset. Looks like u had a fun and relaxing time. Beautiful pics. Glad you had a wonderful time. Thanks for sharing. 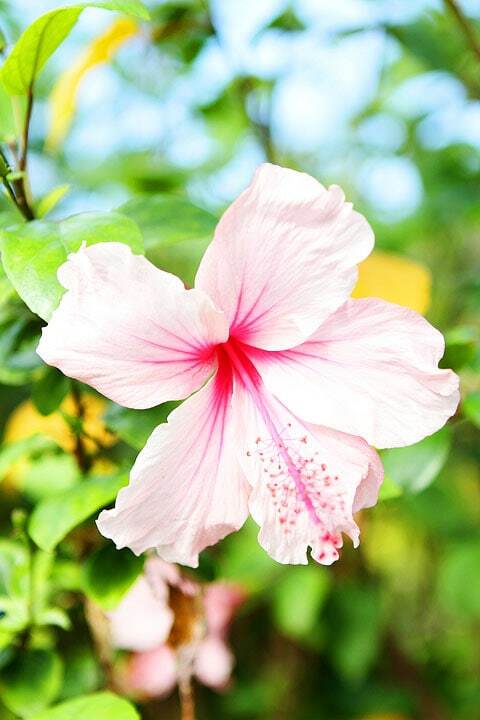 Beautiful pics, Maria! So nice that just the two of you got away for a bit before son #2 arrives 🙂 Rick & I got married on The Big Island (Mauna Kea resort). We’ve been going back for past 17 years for our anniversary (kids too!). 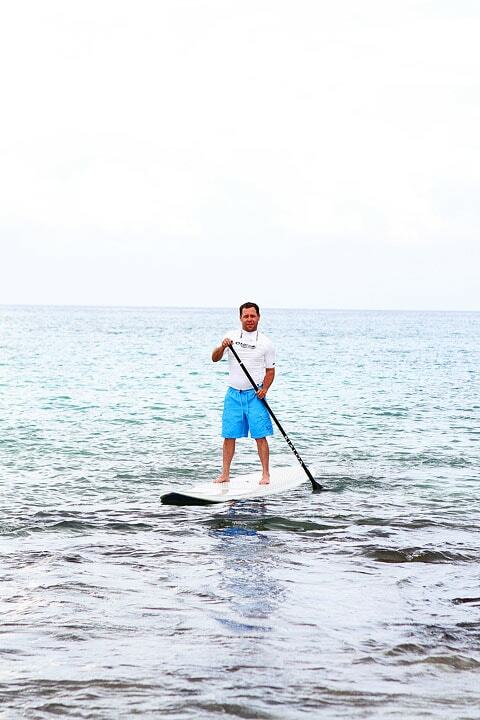 This summer, we decided to switch it up (Maui). Can’t wait to see pics of your baby … soon! I love your site and recipes! Thanks for the great ideas and inspiration. And congratulations on your growing family! What a lovely trip! The food looks fantastic and the resort seems so peaceful! So beautiful. Proud you had so much fun. Looks like you and Josh had a great time and the photos are just beautiful! Thanks so much for sharing your trip! 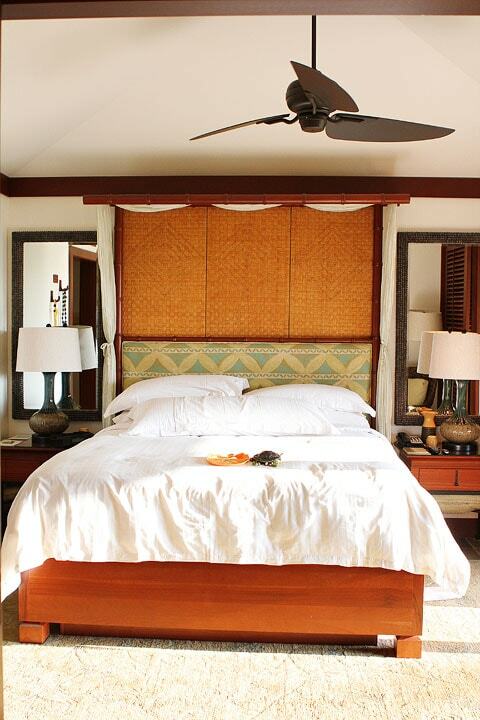 We are planning a vacation to Hawaii and now we know where to stay! Have so much fun on your trip! 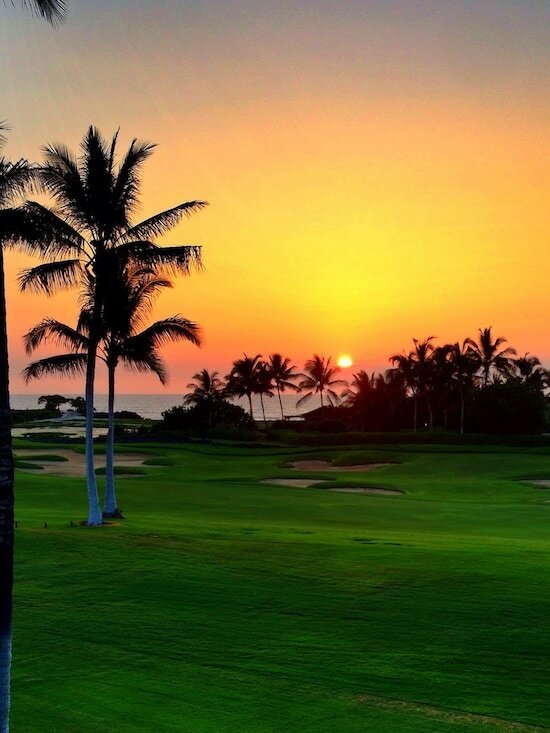 You will love the Four Seasons Hualalai! I love Hawaii! You have to do Kauai next it’s by far my favorite Island.. It’s so laid back! 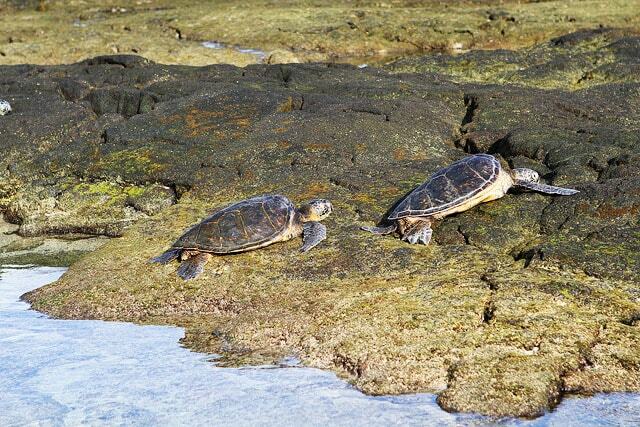 Make sure to stay on the North Shore! Gorgeous! So glad you guys had such a wonderful time! Ok, that place looks amazing! I think I need to surprise my wife. Glad you had so much fun! Your wife would love it! What a beautiful little getaway!! Hawaii is such a magical place. 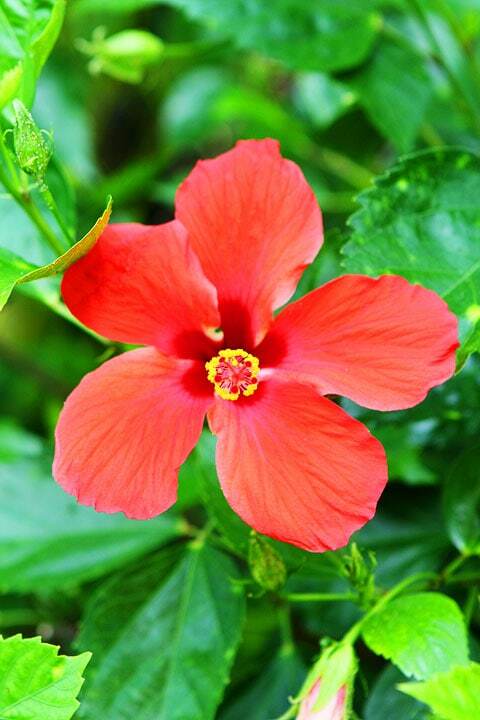 Each island has so many surprises for you to discover. Awwww!!! 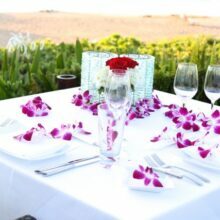 We baby-mooned there too before our first child- but what’s nice about Hualalai is that you can go back with your kids later and its ill be just as magical! Love this resort. Just love it! We can’t wait to go back with our boys! What an amazing place! I hope to get the chance to visit Hawaii one day! Looks like a great baby moon Maria!!! How great for you and Josh! The resort looks like a perfect getaway! Wow, this is definitely the way to go to spend your babymoon! I’m getting so excited about your new baby boy 🙂 he’ll be here soon! The pics are beautiful, the food looks delish, and your baby bump is precious! Congratulations! So much gorgeousness. 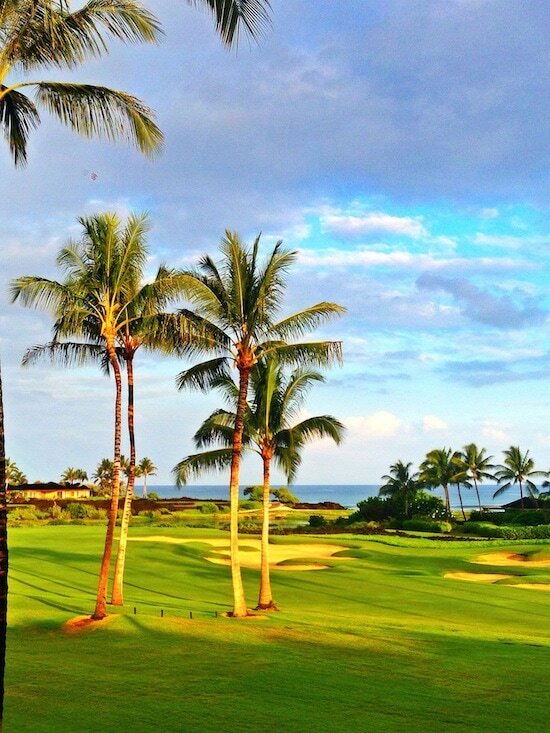 I canNOT wait to visit Hawaii for the first time! Looks like it was a beautiful spot and you had a lovely time!! Looks like a magical place. How nice that they have everything you need in one spot and you don’t even have to leave the resort. I’m so glad you got a chance to escape before the baby!!! We were just reminiscing about pre-baby travel and are so glad we did it. I’m excited for future trips with the kiddos though! It was a 6 hour flight. It was long! Bring lots of snacks and make sure you get up and walk. I also kept rotating my ankles and drank lots of water. Have fun on your trip! 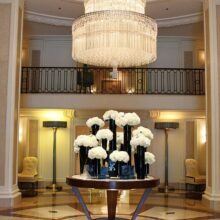 I’m curious – did the Four Season’s comp your stay?